WHAT IS THE NATIONAL PENNY FARTHING CHAMPIONSHIP? 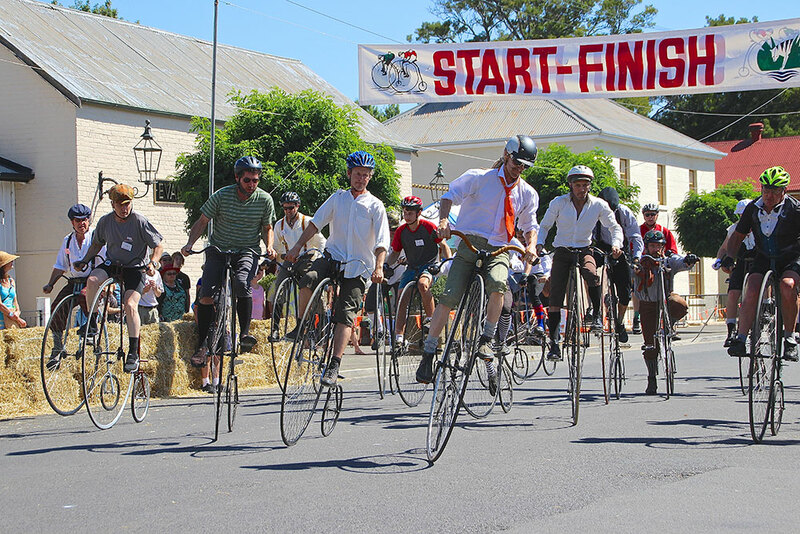 Penny Farthing enthusiasts converge on the Tasmanian town of Evandale from throughout Australia and overseas to vie for a series of Penny Farthing races, held on a triangular circuit in the centre of Evandale Village. Market stalls and a variety of entertainments are situated in the streets and parks surrounding the race circuit, creating the ambience of a colonial country fair. 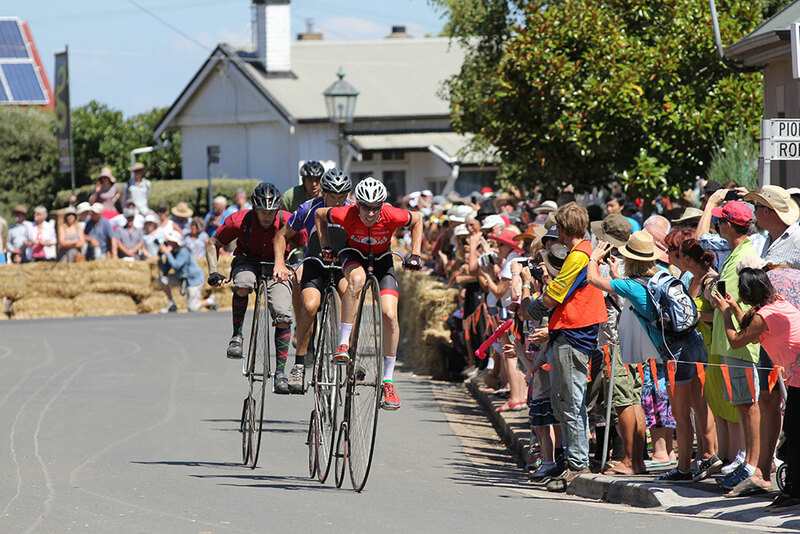 The National Penny Farthing Championship is organised by the Evandale Village Fair Inc., in conjunction with the Velocipede Society of Tasmania Inc.
visit the Evandale Village Fair and National Penny Farthing Championships website!